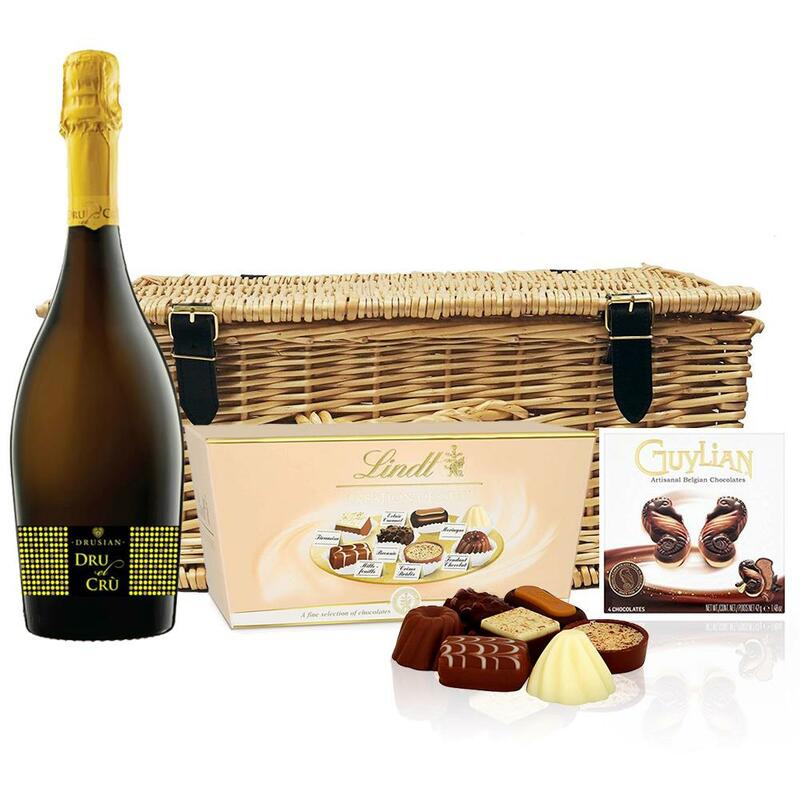 A delightful gift of Drusian Spumante Dru el Cru Prosecco along with a Guylian Artisanal Belgian Chocolate Hearts 42g and Belgid'Or Fine Belgin Choclates (175g) all packed in a wicker hamper with leather straps lined with wood wool. All gifts come with a gift card with a message of your choice. Drusian Spumante Dru el Cru This Sparkling wine is obtained from Glera, Bianchetta and Perera grapes. Its name represents three typical characteristics: Dru because of its quality is equal to other Drusian's Sparkling wines. El in the dialect of Veneto means il, which is the Italian definite artical. Cru indicates its identifiable place of origin. Pale straw colour, fine and persistent bead, freshness and delicacy are distinctive features of Dru el Cru that make it ideal for all occasions. This product is hand packed onsite by Bottled and Boxed, and is not affiliated with any other brand. Bottled and Boxed is responsible for this product combination/set.